US confidence that it can win the war on terror, effect a regime change in Iraq and bring democracy to the Islamic world stems, in part, from having done something like that before. If communism could be toppled in the Soviet bloc then, many Americans think, the Middle East can be just as radically reshaped. These Americans believe, moreover, that their country ended Soviet totalitarianism not by compromising their values but by asserting them. Their intransigence both avoided war and caused the collapse of dictatorship. Now the ideas and assumptions behind anti-communism are being revived to fight another ideology. Just as many believe communism was the biggest threat to western democracy in the last half of the 20th century, so many see radical Islam as the gravest threat today. The concept of an existential struggle between good and evil has been revived, in many cases by people who were near the front line of the anti-communist battle of the cold war. Radek Sikorski is one of those people. A political refugee from Poland, he became a fervent anti-communist journalist covering the 1980s wars in Afghanistan and Angola. In the 1990s he was appointed deputy minister of defence, then of foreign affairs, in Poland's Solidarity governments. Today, he is head of the New Atlantic Initiative, a conservative thinktank that is influential on current policy in Washington. He is an enthusiast for the war on Iraq, seeing it as the necessary prelude to the restoration of democracy in at least parts of the Muslim world. This, he believes, is essential to the long-term victory over al-Qaeda and terrorism. 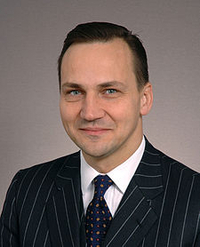 In a recent interview Sikorski said: "The view is gaining ground here that the world of the radical Muslims, their vision of a way of life, is as much a threat to the west as was Soviet communism. Islamo-fascism, or Islamo-communism, is a threat most of all to the people who live under it: we [the US] can lift that oppression." Irving (L) and William Kristol. Sitting a floor or two away from Sikorski is William Kristol, editor of the Weekly Standard, a political journal of the right, and one of the loudest hawks in Washington. Within days of the World Trade Center attack, Kristol organised an open letter to President Bush calling for support to Saddam Hussein's opposition, and war against Iraq. Since then he has campaigned ceaselessly, criticising what he sees as UN and European stalling and obfuscation on the issue. Last summer, he told me: "Americans see clearly which are democratic states and which are tyrannies in the world today, as they did when the Soviet Union was the main enemy." Kristol, too, has an anti-communist history. His father Irving, a former Trotskyist who swung to the right, had been an editor of Encounter, a monthly magazine covertly funded for a time by the CIA in an effort to rally intellectuals and artists against communism. Kristol himself had worked as an aide to Democratic senator Henry "Scoop" Jackson, the politician who defined militant anti-communism for the post-McCarthy generation. 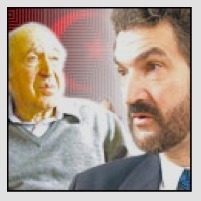 Richard (L) and Daniel Pipes. Kristol and Sikorski are influential in Washington but the similarities between past and present campaigns are best personified by a father and son, Richard and Daniel Pipes. Both men fit firmly into the neo-conservative camp, now gaining its best hearing since Ronald Reagan's term of office in the 1980s. In part built by former Marxists of the 1960s such as Irving Kristol, neo-conservatism gains some of its force from Judaeo-Christian morality and stands out for its willingness to pick a fight with all parts of the political spectrum, left and right. Richard and Daniel Pipes were scholars who specialised as students in the areas that ultimately came to be perceived as those most threatening to their country: Richard on the Soviet Union, Daniel on the Middle East. With roots in academia, they became political activists central to the arguments that define US ideology. Neither set out to be. Richard, a Polish Jewish refugee who emigrated to the US before 1939, learned Russian in the US Air Force. At Harvard, after the war, he wanted to study art history, but was told he should root his studies in a state – and chose Russia, thinking: at least I know the language. Daniel's choice was less what-the-hell – but his speciality was the medieval Middle East, not one with an obvious bearing on then-current controversies. Yet both were seized, early on in their careers, with fixed and powerful ideas that took on a huge public importance. Richard Pipes, at home in a spacious wood-frame house within walking distance of Harvard, where he has taught for much of his life, has lived to see himself honoured and deferred to by those who once hated his ideas. "Gorbachev came to Harvard a few weeks ago," he says, "and I sat at his table at dinner. Someone asked a question about the end of the Soviet Union [and] he said – 'you better put that question to Professor Pipes'". His books have been translated into Russian – including the short history, Communism, published in 2001. He lectures to politicians, journalists and other scholars in Russia, and is now given a close hearing there, at least by the liberal intelligentsia. More than any other Sovietologist, Richard influenced the course of the cold war by changing the way the Soviet Union was seen – authoring and popularising the notion of Soviet communism as an inherently authoritarian system and one with profound roots in pre-Bolshevik autocracy. Daniel Pipes, in the Philadelphia offices of his Middle East Forum, the think tank and vehicle for his ideas, has his father's quiet voice and his conviction that the world he studies is separated from the west by a vast civic gulf. "Of the three great monotheisms, it is the Muslim world which has not evolved and become modern. I don't think that Islam is hopeless, but I think that Muslims don't know where they fit in the modern world." Daniel acknowledges that he is no longer a scholar; Richard claims that he rarely ceased to be. But both managed to break out of the rarefied world of academia, becoming key voices in Republican-dominated Washington. In 1969 Richard gave a talk in Washington for the American Historical Association, arguing against the prevailing view that there was a "convergence" between western democracies and the Soviet Union – in living standards, in social stratification, and even in democratic choice. 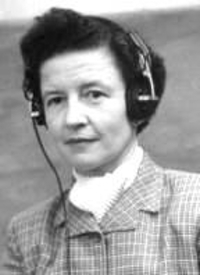 In the audience was Dorothy Fosdick, an aide to Senator "Scoop" Jackson. Jackson persuaded Richard both to testify at the senate hearings on the first arms limitation treaty and to become his consultant. Interestingly, a young aide to Jackson at the time was Richard Perle – still, he says, a Democrat, but now a close adviser to Donald Rumsfeld's Pentagon and one of the leaders of the factions in favour of taking both war, and democracy, to Iraq. Perle represents an important line of continuity – carrying his and Pipes' rejection of communism on moral grounds through to the current campaign. Perle is also among the strongest advocates for reshaping the entire Islamic world by underpinning democratic forces within it. In the mid-1970s, as an acknowledged expert on the "Soviet mentality," Richard Pipes chaired Team B – a group of policy intellectuals who shadowed a CIA committee Team A, appointed by the then head of the CIA, George Bush. The teams were grappling with the nature of the Soviet Union. "The government was getting worried about the Soviet nuclear build-up. We came to the conclusion that the Soviet Union would go for a nuclear first strike during a war; not before it, but once hostilities had started," says Richard. This view, which he helped to popularise in the political class and beyond, aimed to push the US administration into action. "Containment wasn't adequate. Hostility to the west was rooted in the system; we had to put what pressure we could on the Soviets," he says. Richard's reputation was such that he was appointed from 1981 to 1987 as head of the Soviet desk in the National Security Council. "Reagan tended to think that the Soviet leaders must be like us - that they had the good of the people at heart. I told him they certainly don't have the good of the people at heart. In a directive we put a clause: 'the system is such that it leads to aggression'. That led on to the Evil Empire speech." Among those concurring that the Soviet Union was evil was a scholar who served as a Soviet specialist in George Bush Senior's administration - Condoleezza Rice. 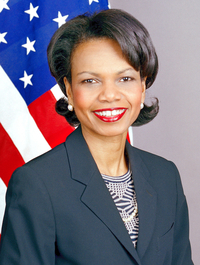 Rice is now the second President Bush's national security adviser. She believes the bringing of Russia into the democratic fold is one of the triumphs of the past two decades. Rice also retains her sense that the leader of the free world, the US, should act pre-emptively to keep the world freer and safer. "History," she said in a BBC interview last August, "is littered with cases of inaction that led to very grave consequences for the world. We just have to look back and ask how many dictators who end up being a tremendous global threat, and killing thousands, and indeed millions of people, should have been stopped in their tracks." Rice is clearly in the mould that the elder Pipes helped to form: but the younger Pipes is often impatient with the administration in which she serves. "The US government tends to make a sharp distinction between a good Islamism and a bad Islamism. But this is often just an indication of its cowardice. When you look at the FBI's most wanted list you see they are nearly all Arab terrorists. We must wake up to the danger. At present we are only half-awake. We are undergoing what I would call 'education by murder'. Look at what's happened in Australia since the Bali bomb. We are not attuned to understand evil," says Daniel. Like his son, Richard is frustrated by colleagues unwilling to accept what he sees as hard moral realities. "Intellectuals in the west tend to feel guilty. There is this sense that 'we have as many sins on our conscience as you [Communists, Islamists] do'." The scorn Daniel holds for his fellow intellectuals is still more hard-edged. Coming from a generation who went to university in the radical 1960s and 1970s, he views his peers with despair. "We have a sense that what we have here in the west is unworthy. There is a lot of guilt and self-loathing. It leads to a constant relativism. Many scholars of the Middle East see radical Islam as modernising - even democratic. I would see these societies as terribly repressive." Daniel's Middle East Forum does a "campus watch" service, pointing out what it sees as the absurdities of some strands of academic thought and the genuflections made to extremism and anti-semitism in the name of political correctness. "The left is basically unhappy with what we in the west have created. The right is happy with it. The left, because of its unhappiness and guilt, tends to compromise and understand the opponent: the right tends to confront," he says. Daniel's attacks on the US academy have stirred deep opposition. He has been barred from speaking at some colleges - ironically, because of what is seen as his McCarthyism and his opposition to free speech. This constant combativeness, sometimes amounting to what seems to be a desire for a fight, has meant - says one commentator of the right who knows and admires him - that he will remain on the outside of the administration, and that his influence will be that of the pulpit, not the antechambers of power. Radek Sikorski says of Daniel that "he has picked up the generational torch in [an] extraordinary way from his father". But neither of the Pipes likes to be drawn on the other. Daniel initially objected to my drawing a parallel, seeing the attempt to do so as "too cute", and admitting only that: "I always admired him: perhaps I get a certain dogmatic sense of stubborness from him." Richard says of his son that "he works tremendously hard to move peoples' opinions: it's not easy, you know". In fact, both men work tremendously hard: the younger one harder, in part because of age, in part because his self-defined mission - to offer an alternative to the easy optimisms and compromises of his governing class - is far from complete. Richard's mission is complete with the collapse of a tyrannical regime and the acceptance by its last leader - Mikhail Gorbachev - of many of the tenets of liberal democratic thought Communists had once sought to extirpate. Daniel sees no such acceptance in Islam, nor any likelihood of it in the near future. "The people who are against the repression are kept down, and are silent. Not many people are prepared to stand up and speak out. So the US government must be prepared to protect them. After the war, we found in Konrad Adenauer a good German: we had destroyed the Nazis and were able to sustain him in power. We need to sponsor the same kind of people in the Islamic world. We must live with the Muslim world but we need to have a new set of leaders within it. We need moderate Muslims. We did that with the Germans after the Nazis and with the Russians and others after communism." As Richard had seemed audacious and extreme in the 1970s and 80s, so his son is seen now: the more so the more he takes on what had been and still are protected vital interests. "We have to recognise one very large fact: the corruption at the heart of the Saudi Arabian regime. The US must wake up to the fact that they, the Saudis, buy our leaders." Pipes recommended I read Two Faces of Islam, published last year by the journalist Stephen Schwartz: it is a sustained and detailed attack on Wahhabism, the form of Islam espoused by the Saudi ruling family. Schwartz, who also runs an activist rightwing thinktank in Washington - The Foundation for the Protection of Democracy - told me that "academics, journalists and the political elite in the US have all accommodated themselves to the Saudis, and have discouraged a closer look at them. Yet, they are the number one funders of terrorism". Daniel agrees with this. Says Daniel: "My signature argument is that we must now focus not just on those who perpetrate terrorist acts, but those who fund and sponsor them. Radical Islam has the potential to attack. It sees itself as an alternative world system. It sees itself in a cosmic battle against the west." In a nod to his father's expertise, he adds: "It sees itself just as the Nazis and the Communists did - in a battle with a hostile world. I don't believe they will win. But if we don't go back to the fundamental verities of freedom, they will get stronger."